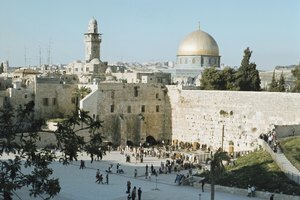 Jerusalem is revered as the most sacred city for Jews. 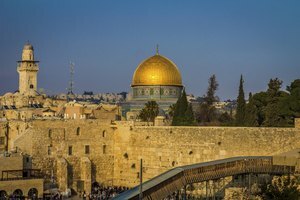 Although the landscape of Israel is riddled with sacred sites and holy cities for Jews, Jerusalem, Hebron, Tzfat and Tiberius are especially revered within the tradition for their historical and symbolic significance. 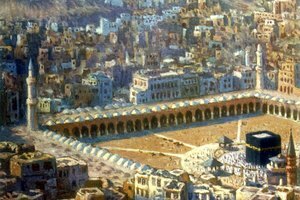 They are referred to as "the four holy cities," each of which holds its own mystical, historical and biblical significance. 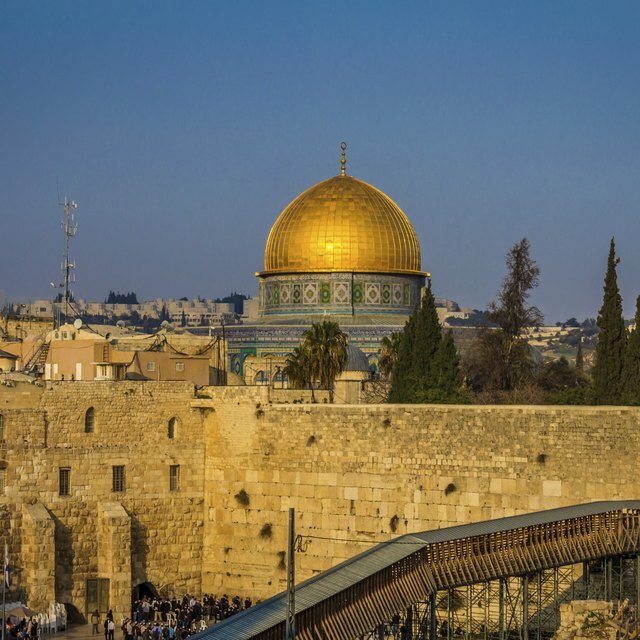 For three millennia, Jerusalem has been the center for the Jewish faith. Biblically, the old city of Jerusalem is recognized as the site where God asked Abraham to sacrifice his son Isaac. It was in the same place that, according to biblical and archeological history, King David established the city as the Kingdom of Israel and his son, King Solomon, built the first temple in the 10th century. After the temple was destroyed, King Herod built the second temple on the temple mount, which he surrounded by walls. The western wall is worshiped as the most sacred space for the Jewish people, as it is revered as the last relic of the last temple. 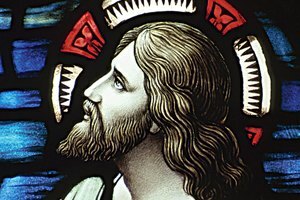 Jerusalem is associated with the fire element in reference to the sacrificial fires that burned in King Solomon’s temple. 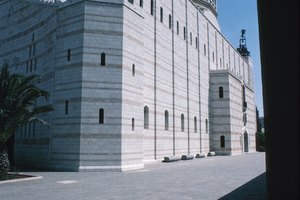 Synagogues around the world are, and have always been, built with the holy arch facing Jerusalem. Located south of Jerusalem within the Palestinian controlled west bank, is the elevated city of Hebron. It is associated with the earth element, as it is the site of burial of the Jewish patriarchs, Abraham and Sarah, Isaac and Rebecca and Jacob and Leah. Because Hebron is referenced numerous times in the book of Genesis, many Jews place Hebron as the birthplace of Jewish civilization. Historically Hebron was the first capital of King David, before Jerusalem, and it became an important center for Jewish learning in the 18th and 19th centuries. Built along the shores of the Sea of Galilee, Tiberias is associated with the water element. The city is, like Hebron, revered for its historical significance, as it was also an important center for Jewish learning in the 18th and 19th centuries. It was in Tiberius where prominent Rabbis gathered shortly before the destruction of Jerusalem and the second temple in an effort to preserve Jewish knowledge. There they assembled the Jerusalem Talmud, a compilation of oral Jewish law, which is used as a foundational text for Jewish study. Located 900 meters (2900 feet) above sea level, the city of Tzfat (also spelled Safed) is associated with the air element, as it is the highest city in the Galilee region and the whole of Israel. According to Jewish lore, Tzfat was founded by one of the sons of Noah after the great flood. Historically It is revered as the center of Kabbalah study and Jewish mysticism, as the Jewish mystical tradition underwent a period of development and creativity there during the middle of the 16th century. The ancient city of Tzfat is largely made up of homes, schools, artists' galleries, old synagogues and yeshivot -- Jewish centers of textual study. Alexander, Rachel. "Important Cities in the Jewish Faith." 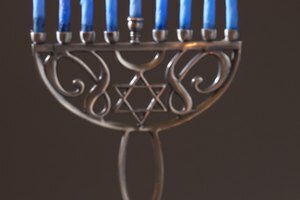 Synonym, https://classroom.synonym.com/important-cities-jewish-faith-6011.html. Accessed 25 April 2019.